Four types of road dust, including main road, industrial road, campus road, and campus walking street dust, were analyzed in a suburban area of Chongqing, western China. 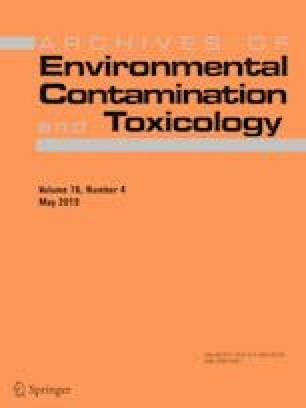 The organophosphate esters (OPEs) concentrations varied from 3.69 to 1600 ng/g dry weight, with a median of 292, 476, 203, and 48.8 ng/g dw in main road, industrial road, campus road, and campus walking street dust, respectively. The industrial sources should be responsible for the elevated OPEs concentrations in industrial road dust, while the vehicle emissions may play a role in the OPEs distribution in main road dust. Semblable OPEs composition patterns were observed among different types of road dust; tributyl phosphate predominated followed by tris(methylphenyl) phosphate. Significantly positive correlations were obtained between industrial road dust and campus road dust and main road dust, respectively, and statistical correlations also were found between main road dust and other road dust. An increasing trend of OPEs was displayed with the descending particle size in industrial road dust, whereas highest values were at F3 (90–150 μm) (340 ng/g dw) and F5 (< 75 μm) (305 ng/g dw), with a peak value at F3 in main road dust. This result may suggest that OPEs are prone to accumulate in finer particles. The estimated daily intake values for toddlers were approximately two times greater than those for adults in each region, implying that toddlers may be more vulnerable to OPEs intake via road dust. The online version of this article ( https://doi.org/10.1007/s00244-019-00612-1) contains supplementary material, which is available to authorized users. This research was financially supported by National Key Research and Development Program (2018YFD0800600), the National Natural Science Foundation of China (No. 41403078), Chongqing Research Program of Basic Research and Frontier Technology (Nos. cstc2016jcyjA0399 and cstc2018jcyjA0977).